Metal casting has been around for over 6,000 years. The process involves crafting a mold of sand or clay to the desired shape before molten metal – aluminum or bronze – is poured and allowed to solidify. 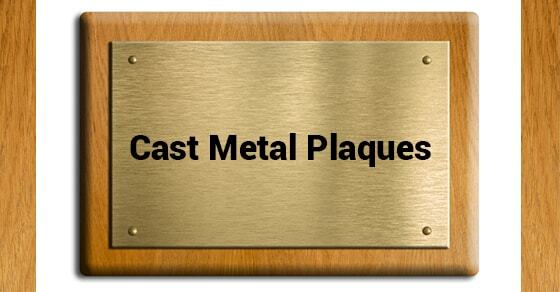 The result is a durable, single-piece cast metal plaque that can be finished and mounted to fit the intended application.